Built to keep you right on target, shot after shot. This Barska Electro Sight was made to handle the punishing recoil from high-caliber rounds... it's perfect for your M16, AR-15, M4, SKS and more. 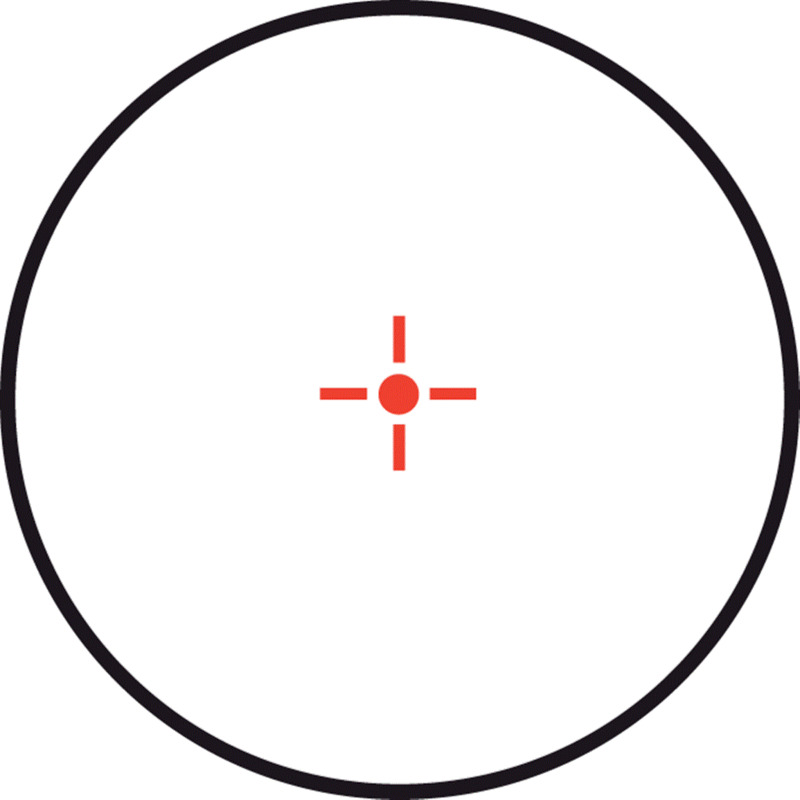 The tactical red cross dot reticle offers precision targeting, and the durable construction keeps this Scope accurate, no matter how many rounds you've run through your rifle. Barska M-16 Electrosight, 1x30mm, Red Illuminated Cross, Rifle Scope is rated 3.8 out of 5 by 13. Rated 5 out of 5 by Ricky from Awesome Scope!!!!! Great Price and Awesome scope!!!! 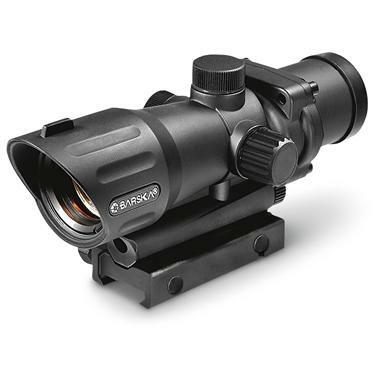 Rated 1 out of 5 by BigDR from Wouldn't sight in on my rifle The product didn't have enough elevation adjustment to be able to sight it in on my Ruger Mini-14. It barely had enough windage adjustment - I was up against the stops. Rated 1 out of 5 by nothappy69 from Don't Buy! It is heavy and seems to be very well made. But, as soon as you go into sun light(which is what there is a lot of outside were you shoot) the cross hair disappears which makes it very hard to aim. I even tried putting new battery's to see if that would make it brighter but that didn't work. Rated 1 out of 5 by schwansong from low quality I went target practice the other day and the optics worked intermittently. I am returning the product immediately. Rated 5 out of 5 by Shots at 5 from So Far I haven't shoot a single round looking through this sight but installed it on my AR15 and it is set up nice and I can't wait to see how she does. I feel good about it so far and it looks good on the rafters. Rated 5 out of 5 by Catfish from Good price Good looking scope. Mounted easily and I like the quick easy on power switch. Haven't been to the range with it yet but I'm sure it will perform as advertised.